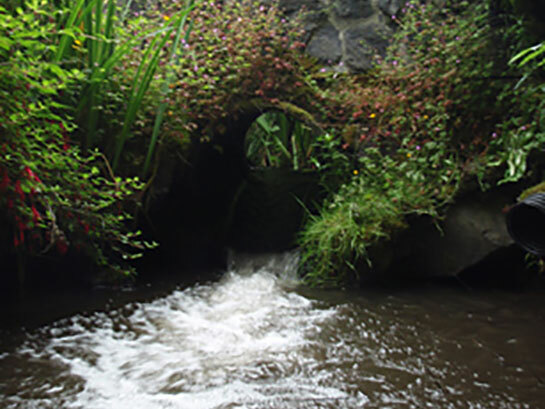 This urban watershed includes many opportunities for habitat improvement. Property owners help quality habitat coexist with their landscapes. Repairing culverts enhances fish migration. 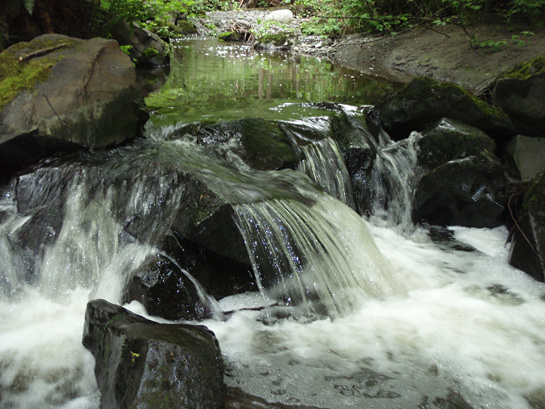 Confluence Environmental Company assisted the City of Seattle and SvR Design Company in developing draft and final engineering plans and specifications, as well as conducting construction oversight, to restore a piped section of Mapes Creek to an open-channel condition. 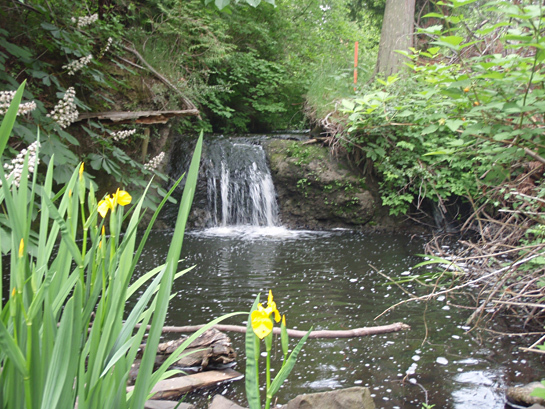 The habitat restoration project is part of a larger stormwater drainage improvement project conducted by Seattle Public Utilities in the Mapes Creek watershed. This work builds on a previous watershed analysis and feasibility study for the project conducted by Confluence staff with SvR Design Company and Seattle Public Utilities in 2001. The stream restoration includes restoring approximately 400 linear feet of open stream channel with large woody debris, establishing a forested riparian zone, and reestablishing a functioning delta where the creek flows into Lake Washington. Confluence evaluated hydrology, hydraulics, and sediment dynamics to inform the design. Additionally, Confluence developed engineering design sheets and specifications pertaining to design of the restored channel, habitat features, and substrate. The restored channel was connected to Lake Washington in October 2014. Construction oversight activities included review of open-channel stream construction and placement of large woody debris to ensure compliance with design and permitting requirements. The finished project provides high-value critical habitat for juvenile Chinook salmon and other salmonids in a key location (South Lake Washington) identified as a priority area in the Salmon Recovery Plan developed by Water Resource Inventory Area 8. The project has received two awards: (1) a Green Globe award from King County in 2015, noting the City of Seattle for leadership in habitat restoration; and (2) a Design Excellence Award from the City of Seattle in 2017.